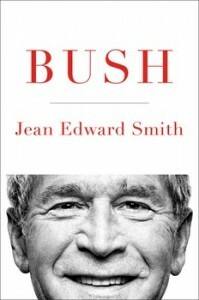 Distinguished presidential biographer Jean Edward Smith offers a critical yet fair biography of George W. Bush, showing how he ignored his advisors to make key decisions himself—most disastrously in invading Iraq—and how these decisions were often driven by the President’s deep religious faith. Bush is a comprehensive evaluation of the Bush presidency—including Guantanamo, Katrina, No Child Left Behind, and other important topics—that will surely surprise many readers. Controversial, incisive, and compelling, it is thoroughly researched and sure to add to the debate over Bush’s presidential legacy.